The number of shoppers out on December 26 this year fell by 3.1% on last year and is the third consecutive year that has seen a decline, which could indicate a lessening in importance of Boxing Day as a trading day - but not all retailers had a quiet day. 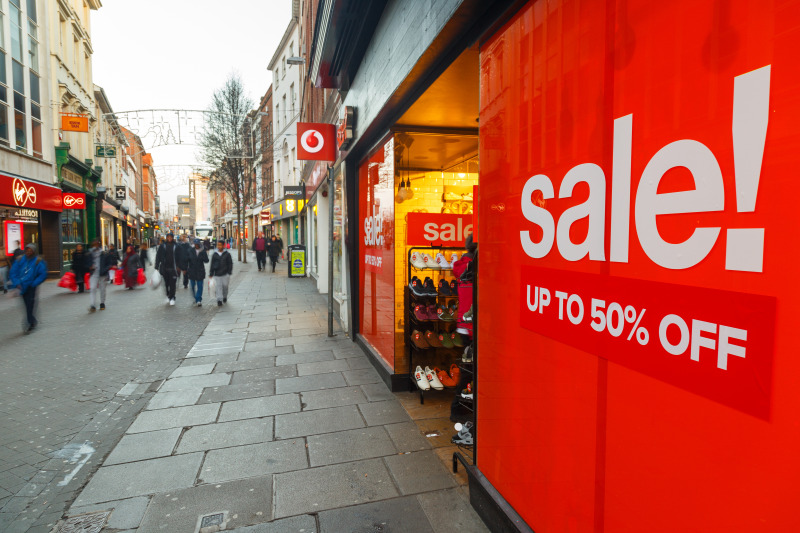 Over the last few years footfall on Boxing Day has consistently been around 10% lower than on Black Friday, and this year it was 10.7% lower, according to Springboard. Footfall on Boxing Day was also 12% lower than on Saturday, December 22; the peak trading day before Christmas. Part of the reason for the drop in footfall is the almost-continuous discounting that has been taking place by retailers this year - particularly over the period from Black Friday onwards - which negates the reason to defer purchases to Boxing Day, although clearly this is an opportunity for consumers to pick up items at an even lower price than before Christmas. However, many retailers offer greater discounts online than in store, which discourages shoppers to visit retail destinations and bricks-and-mortar stores. However, not all retailers saw declines. John Lewis’ sales for the week to December 29, saw a 4.5% uplift, with very strong sales on Christmas Eve and a confident start to clearance sales both online and in shops. Home sales were down 2.3% on last year, however the gift cook and dine category had a great week, up 25%. Online retailers also saw uplifts after Christmas, with Furniture123.co.uk, for example, reporting its most successful Boxing Day to date. The e-tailer said sales “went through the roof” on December 26, with more than 1,000 children’s beds, 2,300 chests of drawers and 1,800 wardrobes sold once its promotions went live on Boxing Day. The e-tailer reported that website traffic was up 110% year-on-year, with a 57% increase in visits from mobile devices year-on-year. Furniture123.co.uk marketing manager Mark Kelly said: “We’ve seen a huge uplift in sales already thanks to the thousands of shoppers scanning the internet for the best furniture bargains this Boxing Day. This is proving to be our best Boxing Day ever, with traffic to the website up by 110% year-on-year. According to Springboard, many consumers who visited retail destinations on Boxing Day would have been doing so as part of a wider leisure experience, and the greater variety of restaurants and coffee shops in high streets enables shoppers to make the most of their trips and include lunch or coffee whilst shopping. Whilst the larger, newer centres have a good hospitality offer, smaller, older centres do not and so the options for eating out are very limited, which encourages shoppers into high streets. This is illustrated by the decline of just -1% in high street footfall between 12 and 2pm compared with -2.8% before 12pm. Drops in footfall of -4.7% in shopping centres and -6.5% in retail parks between 12pm and 2pm illustrate that shopping centres and retail parks weren’t able to capture lunchtime footfall so successfully. Overall footfall at shopping centres was down 5% on Boxing Day this year. However, Milton Keynes shopping centre, Centre:MK says it is bucking the nationwide trend, with shopper numbers up 1.13% year on year and close to 25million through the doors over the year. As a regionally-dominant shopping and leisure destination, Centre:MK says it continues to attract high-spending shoppers, attracted by the extensive range of brands on offer, which includes homewares retailers Marks & Spencer and Next.